The back is probably the largest skin area where tattoo masters are dying to ink their masterpieces into. It provides enough space for the loudest, most complicated, and the most elaborate tattoos an enthusiast can think of. Considering the area as the king of skin space, then it is just appropriate that another king should be showcased on it. Lion tattoos have a lot of features that are best for detailing and emphasis. To feel the supremacy and dominance of the king of the jungle even on ink, the tattoo must be realistic and very detailed. Lion tattoos done in the back could never be more perfect. 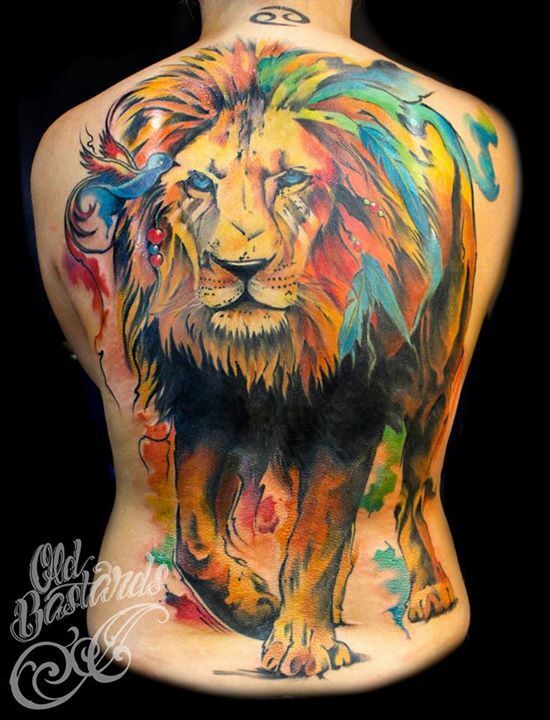 Hands down, lion back tattoos are the most complete and the coolest among all. There are tats of this design that are done in watercolor, geometric, and 3D designs. The fearsome roar, the majestic mane, and the intimidating stance can be clearly depicted on tattoos done on this wide and accommodating space. Check out the best of the best lion back tattoos we found all over the internet on today’s post.